When I read what this drama was about, I was worried. I can’t think of one movie or show that actually dealt with weight issues or weight loss in a way that wasn’t 100% fat shaming, other than Bridget Jones. Especially considering the Korean obsession with perfection seems to mirror our own in America. But… I absolutely love the two leads. Is anyone cuter than Shin Min-A and So Ji-Sub? So I took the risk and settled down for Episode 1 fully expecting to be disgusted, annoyed, outraged or offended. But none of those things happened. Sure, the overweight girl wasn’t terribly overweight… but that wasn’t the plot. This show wasn’t about morbid obesity, it wasn’t about societal stigmas or culture wars, and it wasn’t about the deeper philosophies of aesthetics. It was about a beauty who had let herself go, the pressure of school, of work, of a stagnant relationship taking its toll on her physical and mental well being. Yet she persisted on, pushed forward with as much optimism and confidence as she could muster – even as her world broke down around her. It was a standard rom com. To say I was charmed immediately is an understatement. This show is sweet, light on the serious drama, and aimed to please. It hits the bullseye. It’s a fluffy romantic comedy with just enough conflict to throw our main characters together and make it deeply satisfying when they both fall head over heels in love. It’s a big “Awwwww” moment in K-drama form. Let’s start with the basics. First of all – our lead gained weight. Fat is relative, as anyone can tell you. Was she severely overweight? No. But she’d gained weight. And I appreciated the show gave us a “before” and “after” to make that clear. Compared to her younger self, she’d definitely picked up some pounds. And it bummed her out, but she wasn’t moaning or being obnoxious over it either. The cosmetics for her “fat suit” weren’t over the top either. Some padding on the face. Some padding around the middle. They didn’t go overboard. 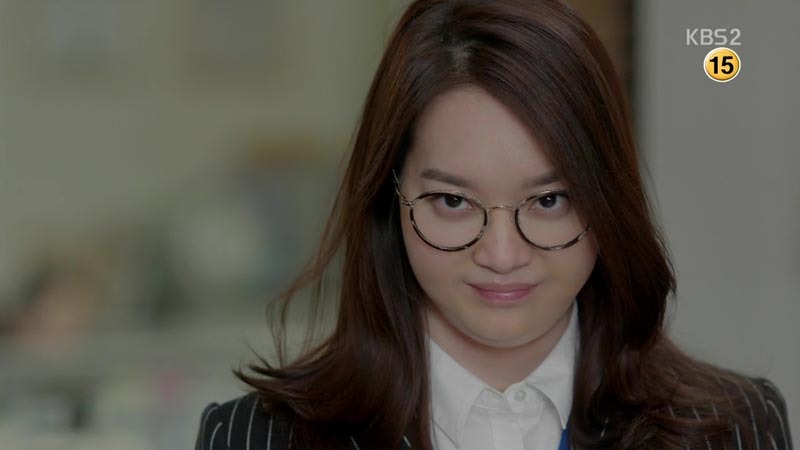 It looked believable enough and Shin Min-A still managed to shine. Our female lead is a successful lawyer whose boyfriend is about to leave her for another woman. But we’ll get to that in a minute. Next we have So Ji-Sub… who has apparently sold his soul to the devil because he looks better than ever and hasn’t aged a day. He’s a famous trainer. A man obsessed with good health. Someone who spends all day in the gym and enjoys it there. He’s also got the body to prove it. Dang… do Korean actors do anything other than crunches? Without going into much detail – let’s just say he’s overcome some painful and sad obstacles in his past that will come back to haunt him throughout this drama. For a K-Drama, it was surprisingly low key, too. I mean, sure there were tears… but K-Dramas can take backstories into severely uncomfortable and horrible places and this was not one of those dramas. So, we have a gym monkey who is a nice guy who cares about the athletes he trains and treats people fairly. That was also a relief, as we didn’t have to suffer through the love-reforms-an-arrogant-prick story. Nope. So Ji-Sub started out being a decent guy and remained that way throughout the show. So… two good-hearted people fall in love. What could be better? It will come as no surprise that she does loose the weight. What was surprising is that the show actually made it seem realistic. And gradual. Days passed. Months. Only small goals were met, one at a time, slowly building until success was finally… finally… attained. Well done, K-Drama, well done. But what I liked best about this romance was that our gym monkey fell head over heels in love with our chunky business gal while she was still chunky. Now, it’s not like she wasn’t still cute even chunky, but come on… credit where credit is do. My heart kinda melted the first time he started flirt with her. And it was also nice that their feelings developed together – they both liked each other, almost right away. On top of this most likeable couple, we have a very good supporting cast. There are two young men training with the gym monkey – both of which are sweet as pie and provide comic relief. One of them has a stalker fan who ends up being an adorable love interest. Nothing scandalous or over the top about that either, really, just a nice little gradual romance as a side story. This is one of those dramas were the two antagonists, or villains, end up being very likeable and human in the end. And you cheer for their happy ending just as much as the main couple. There will be no one left behind on this speed train to love town. You’ll end up liking the dude who broke our main character’s heart as much as the girl who he cheated on her with. Baffling and yet oh so human. That’s what made this show so good. It just… couldn’t help itself. It wanted to be a giant piece of cake with zero calories and let’s face it… we all want a bite of that miracle. Final thought… I don’t think it was necessary that our gym monkey turned out to be a secret mogul. Why is everyone always a Chairman of the Board? How many large companies are there in Korea, anyway? Surely we’ve seen shows about them all by now…. Why couldn’t he have just been a very successful personal trainer and that’s it?